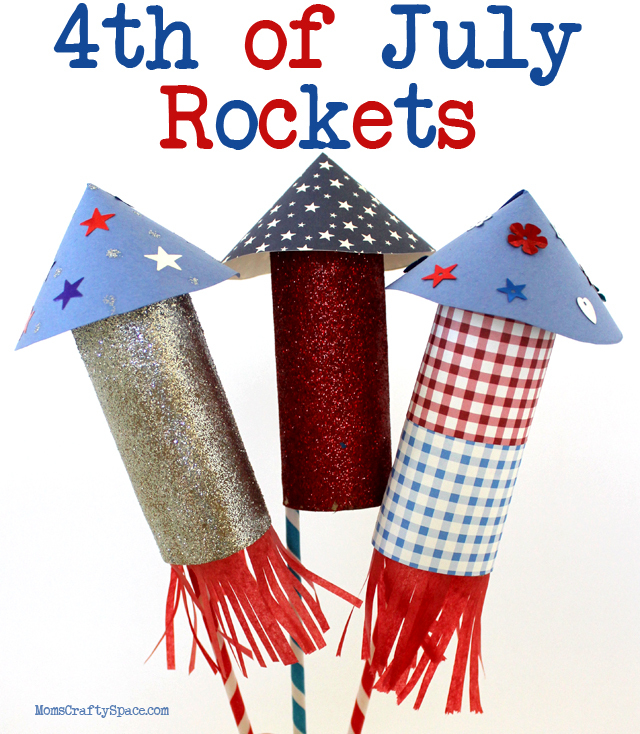 Fourth of July has always been one of my favorite holidays (along with Halloween and Christmas), and my three boys love it just as much as I do. 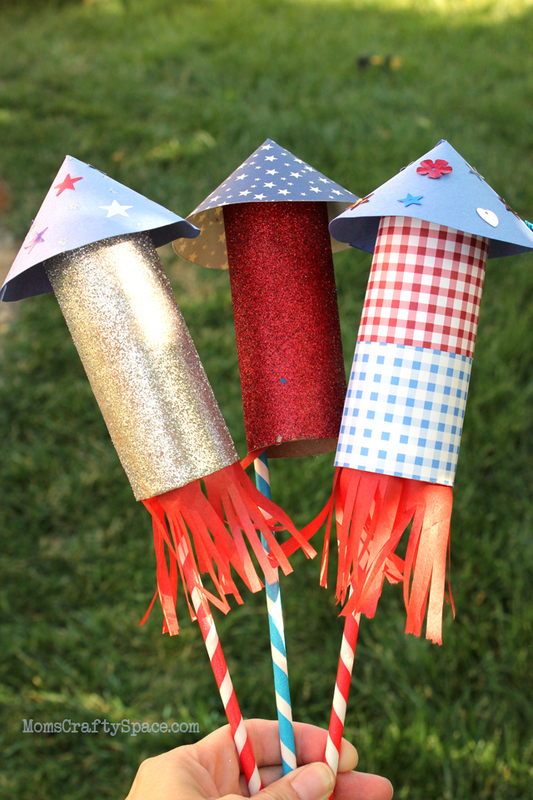 To get our home ready for the holiday, we created these fun Independence Day rocket decorations from some basic supplies and recyclables. 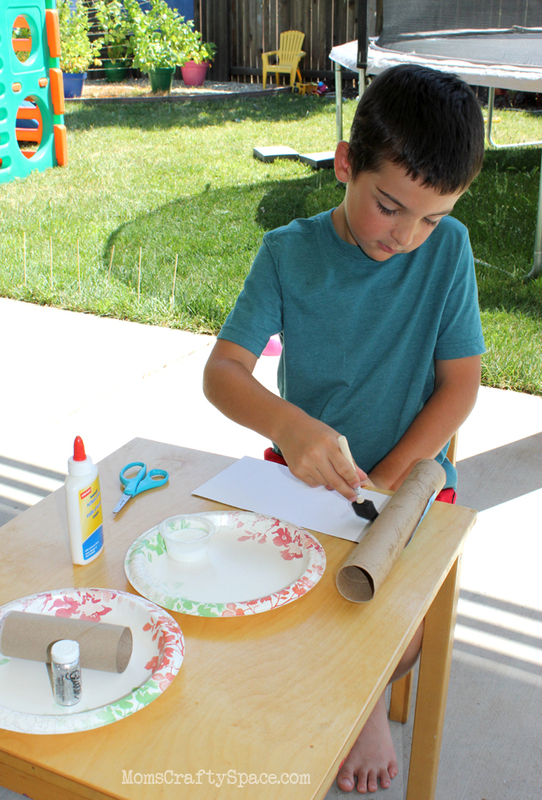 Cardboard tubes – toilet paper, paper towels, gift wrap, etc. 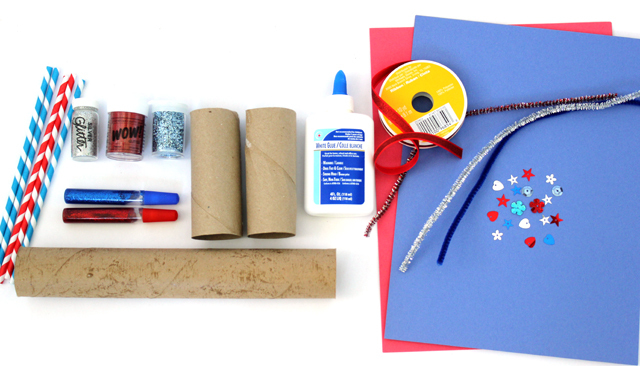 Decorations & embellishments – glitter, sequins, ribbons, pipe cleaners, etc. Start by decorating your tubes any way that you wish. Have fun with it! We glittered, painted and decoupaged patterned papers on to our tubes. 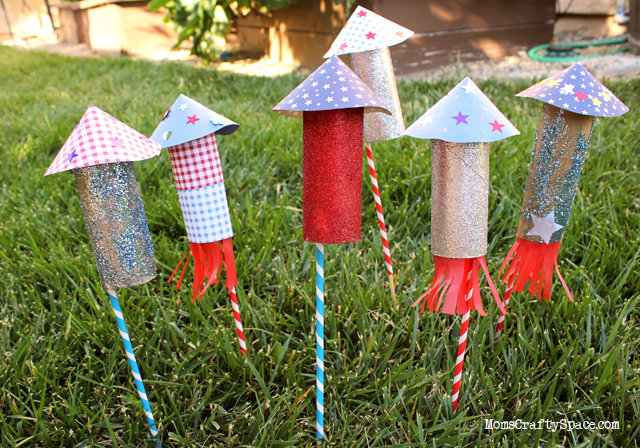 We also used glitter glue to write “USA” on a few of them and added sequins to others. 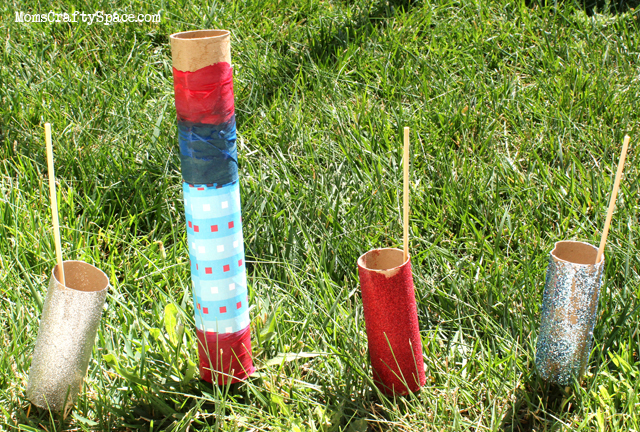 We discovered that our tubes dried quickly in the sunshine when placed over wooden skewers pushed into the grass. We slipped the straws over the skewers again for the final drying. Don’t they look cute in the grass like this? I think a whole bunch of these lining a walkway would make such a great decoration! I hope that you have a wonderful summer full of memories, and that your 4th of July is magical! 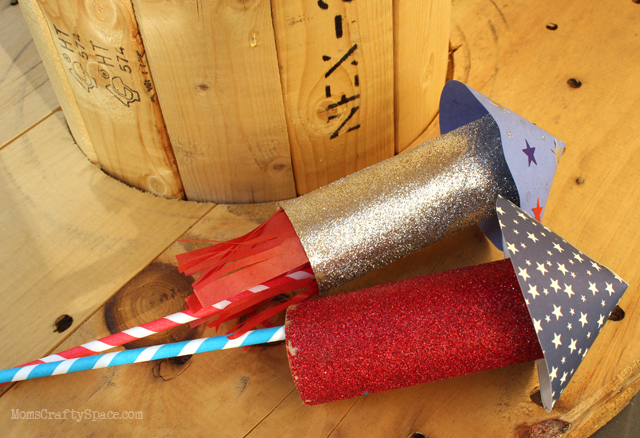 Hope you have a fun and safe Independence Day! This post originally appeared on Design Dazzle as part of the 2013 Summer Camp series.